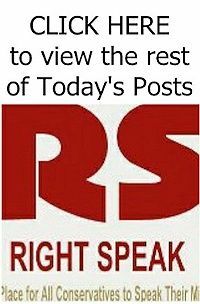 RIGHT SPEAK: Preexisting Suspicions: Will Republicans Agree On a Health Care Reform After All? Preexisting Suspicions: Will Republicans Agree On a Health Care Reform After All? The word around Capitol Hill is that Republicans are preparing to revive the dormant American Health Care Act after members return from their Easter break. Lawmakers have tried adding some conservative muscle to the bill in an effort to make weight. But a central reason why the AHCA could be back in the ring is that it now has some added clarity. Take the legislation’s treatment of health care consumers with preexisting conditions—which has come to mean those with an expensive medical issue who might be denied insurance if they weren't already insured. The original text authorized money for the creation of a "stability fund" for states to directly subsidize such individuals, as well as the insurers who cover them. State governments could use the money to establish reinsurance programs and high-risk pools, with the goal of sequestering costly patients and their premiums from the broader coverage pool. By design, the burden for subsidizing those with preexisting conditions would be transferred from younger, healthier consumers to taxpayers en masse. 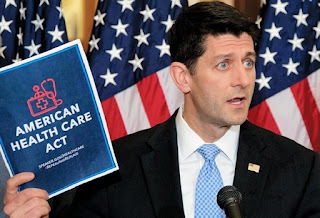 House speaker Paul Ryan touted this plan during a 23-minute PowerPoint presentation about the bill in March. "We want to protect people with preexisting conditions. We think that that's very important. That has actually been a cornerstone of Republican health care proposals all along," he said. All well and good. But the fund contains just $100 billion over nine years, much less than what policy experts, including those like James C. Capretta and Tom Miller on the right, have said would be necessary for such an approach to "function properly." And the AHCA left in place Obamacare's mandates on insurers for covering those with preexisting conditions, making the fund appear like a supplement to the current law. The former issue could be enough to make moderates uneasy. The latter was evidently enough to make many conservatives oppose the bill. Read the rest from Chris Deaton HERE. Republicans did NOT run on "reform" health care. They promised to REPEAL. They exempted themselves. It is easy to exempt the 50 states. Everything else is a democide NAZI lie.